Ontario Environmental & Safety Network Ltd.
Lead is one of the most common toxic elements found in industry and is a leading cause of workplace illness. 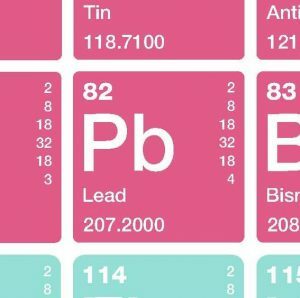 According to the Centers for Disease Control & Prevention, despite improvements in public health policies and substantial reductions in blood lead levels (BLLs) in adults, lead exposure remains an important health problem worldwide. Nearly every construction trade has the opportunity for potential exposure to lead during “normal” construction tasks including carpenters, electricians, ironworkers, painters, plumbers, sheet metal workers among others. LEAD AWARENESS COURSE ASSESSMENT: Testing is conducted throughout this online course and will reinforce the information presented. A mark of 80% must be achieved in order to receive a certificate of completion. Users are able to repeat the course twice if the pass mark is not achieved. LEAD AWARENESS CERTIFICATE OF COMPLETION: Upon successful completion of this online course, a certificate of completion will be available for download and printing. In 2014 OESN was the recipient of the Service Excellence and Outstanding Contribution Award, received for “appreciation of your dedication and exceptional service provided to CBRE Limited in supporting Infrastructure Canada”.